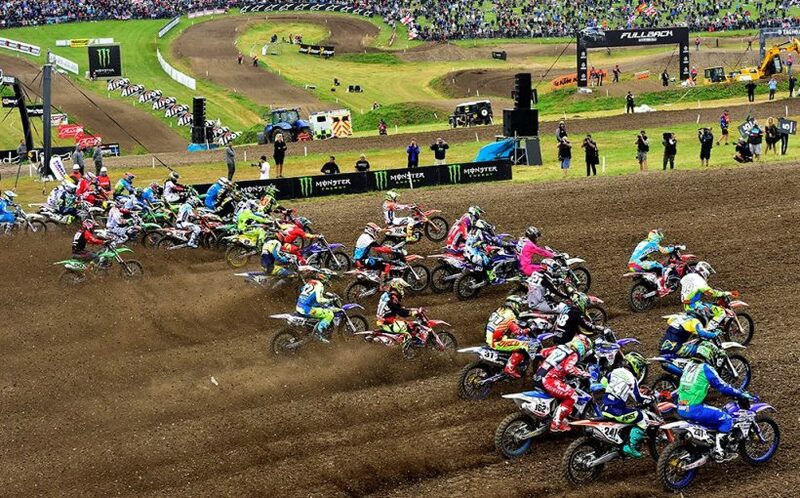 The FIM Motocross World Championship jumps across the pond this weekend for the 2018 MXGP of Great Britain at the famous Matterley Basin circuit for the 8th round of the year. It has been nearly two weeks since the last race in Germany where Red Bull KTM Factory Racing’s Jeffrey Herlings dominated and his teammate and main title rival Antonio Cairoli had his worst finish of the year with a 6th overall. 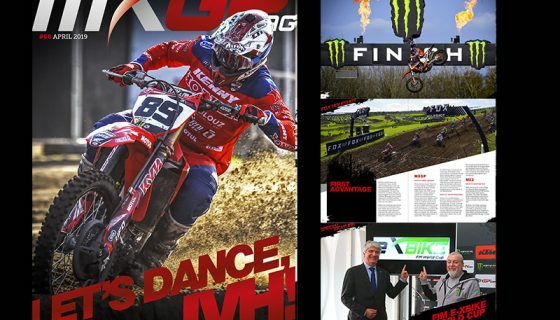 While the battle has recently been between Herlings and Cairoli many others are stepping up their game such as Rockstar Energy Husqvarna Factory Racing’s Gautier Paulin, Monster Energy Kawasaki Factory Racing’s Clement Desalle and Team HRC’s Tim Gajser. The Matterley Basin track has long been famous in the world of motocross for not only hosting some of the biggest races in the world such as the Monster Energy FIM Motocross of Nations Presented by Fiat Professional as recent as least year where Rockstar Energy Husqvarna Factory Racing’s Max Anstie led team GB to the podium but also for its rolling hills and grassy natural terrain. In the MX2 category Red Bull KTM Factory Racing’s Jorge Prado and Pauls Jonass continue to battle in ultra competitive but clean racing. The teammates speed is however starting to be matched by some of the other youngsters in the class like Rockstar Energy Husqvarna Factory Racing’s Thomas Kjer Olsen and Kemea Yamaha Official MX2’s Ben Watson who will have the extra motivation of racing in front of his home fans! 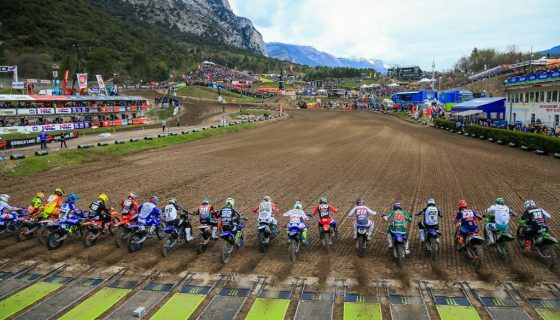 Joining the MXGP and MX2 riders this weekend will be the EMX250 Championship, the EMX300 presented by FMF Racing Championship, and the FIM Veteran Motocross World Cup. In EMX250 REVO Husqvarna UK’s Martin Barr holds the points advantage but by only 2 points over his teammate Mel Pocock. Meanwhile in EMX300 Presented by FMF Racing GL12 Racing’s Mike Kras leads the way with 3 rounds complete of the 7 this season. 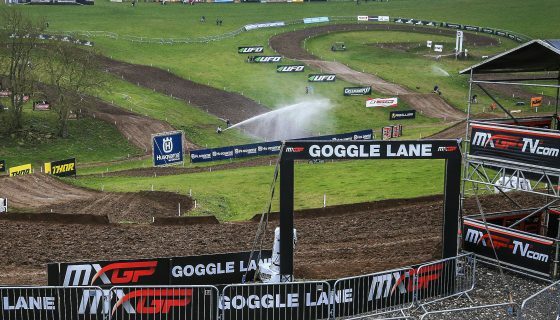 The one off event, the Veteran’s Motocross World Cup, will host interesting racing with past winners such as Martin Zerava battling against Bogomir Gajser and Mervyn Anstie among others. Looking to continue his strong start to the MXGP is Red Bull KTM Factory Racing’s Jeffrey Herlings. Herlings now leads the championship by 48 points over Antonio Cairoli. Both Herlings and Cairoli race the MXoN at Matterley Basin last year where Herlings had a 1st and a 2nd while Cairoli scored an 11th and a 7th. Historically Herlings has raced MX2 here on 5 occasions and never missed the top five including 2 wins in 2014 and 2016. Cairoli on the other hand has raced this GP 7 times scoring 4 overall victories. Monster Energy Kawasaki Racing Team’s Clement Desalle has been consistently strong this season and is the only rider to win outside of Herlings and Cairoli. Desalle has raced here 6 times since 2006 and won the GP in 2013 then followed it up with second overall in 2014 and 2015. Rockstar Energy Husqvarna Factory Racing’s Gautier Paulin has recently been focused on improving his starts and it clearly worked in Germany when he took both Fox Holeshots, for the first time this season. Paulin has been on the GP podium at Matterly Basin 3 times but has never won here with the monumental exception of leading team France to MXoN victory here last October 2017. Monster Energy Yamaha Factory MXGP’s Romain Febvre has stepped up his game lately even leading and challenging for a race win in Latvia’s race 1. The Frenchman who damaged tendons in his arm during Latvia’s race 2 will have taken full advantage of the weekend off to get back to 100%. Febvre’s best result at Matterley Basin came in 2015 with 3rd overall. Also not to forget is that he has more good memories from the circuit last year when he was part of the French MXoN winning team with Paulin. TM Factory Racing’s Max Nagl has been working to improve on his results so far this year and Matterley Basin may be one track that could host a strong performance from the German, he took second overall here in 2016. Also to mention is Team HRC’s Tim Gajser as he not only is gaining ground on the speed of the championship leaders but he won the overall here at the last World Championship event in 2016 and he had his first ever FIM MX2 World Championship podium finish in 2014. Last but not least is the home GP heroes, Rockstar Energy Husqvarna Factory Racing’s Max Anstie and Bike IT DRT Kawasaki’s Tommy Searle. Both have had a difficult season so far but Anstie and Searle teamed up here at the 2017 Monster Energy FIM Motocross of Nations Presented by Fiat Professional to score team GB their first MXoN podium in several years. MXGP Championship Top Ten: 1. Jeffrey Herlings (NED, KTM), 386 points;2. Antonio Cairoli (ITA, KTM), 338 p.;3. 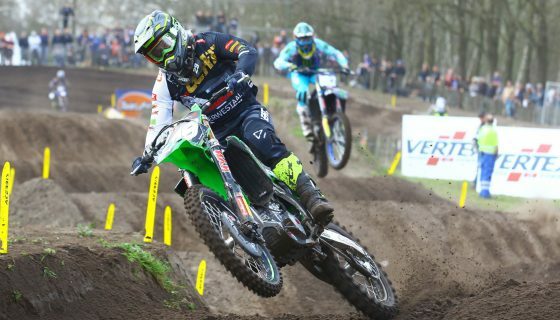 Clement Desalle (BEL, KAW), 278 p.;4. Gautier Paulin (FRA, HUS), 258 p.;5. Romain Febvre (FRA, YAM), 255 p.;6. Tim Gajser (SLO, HON), 221 p.;7. Glenn Coldenhoff (NED, KTM), 207 p.;8. Jeremy Van Horebeek (BEL, YAM), 193 p.;9. Jeremy Seewer (SUI, YAM), 176 p.;10. 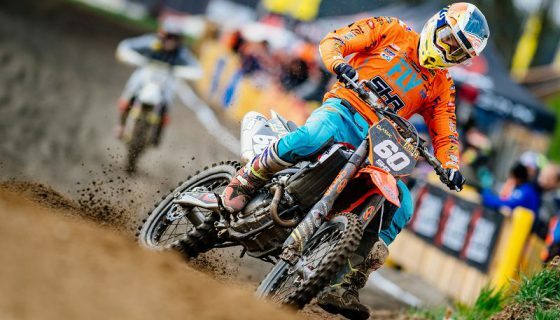 Julien Lieber (BEL, KAW), 149 p.
Just as in MXGP the MX2 class is led by 2 Red Bull KTM Factory Racing riders, Pauls Jonass leads the points and was dominant early in the season while Jorge Prado has continued to improve and has the momentum in his favor. Jonass has raced the circuit twice in his career opting out of racing the MXoN event last year but scoring a 4th in 2015 and a 3rd in 2016. Prado on the other hand has only raced here during the 2017 MXoN event where he finished a disappointing 28th and 40th in the two races. Rockstar Energy Husqvarna Factory Racing’s Thomas Kjer Olsen is the only rider to have won this season apart from Jonass or Prado. Olsen’s win came only 2 GPs ago in Latvia. Olsen, similar to Prado, only raced here last year with race results of 9th and 10th. Holding down 4th in the MX2 championship is Great Britain’s own Kemea Yamaha Official MX2 rider, Ben Watson. Watson has had his strongest season on record yet including his career first podium and he still continues to impress. Watson’s only MX2 result at Matterly Basin comes from 2015 when he finished 18th. Going off of his season thus far and the added benefit of the home fans it is likely to see Watson battling for the top five if not the podium or even a win this weekend. F&H Racing Team’s Jed Beaton currently is 5th in the points but has Team HRC’s Calvin Vlaanderen just 7 points further back. Both Beaton and Vlaanderen have had stand out rides this year but Vlaanderen seems to have the momentum after scoring his first podium of the season at the last GP in Germany. Also to keep in mind is the return of Bike IT DRT Kawasaki’s Darien Sanayei this weekend who is no stranger to the Matterley Basin circuit. Sanayei showed serious speed early in the year before injuring his knee and may be a wild card for the podium. MX2 Championship Top Ten: 1. 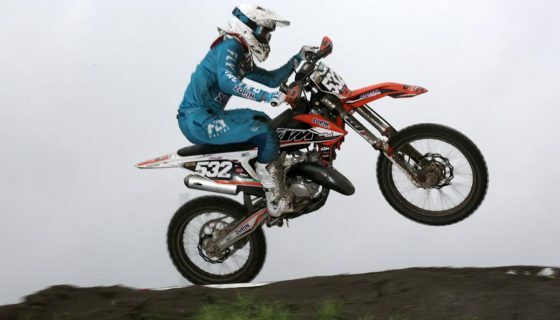 Pauls Jonass (LAT, KTM), 351 points;2. Jorge Prado (ESP, KTM), 329 p.;3. Thomas Kjer Olsen (DEN, HUS), 288 p.;4. Ben Watson (GBR, YAM), 246 p.;5. Jed Beaton (AUS, KAW), 203 p.;6. Calvin Vlaanderen (RSA, HON), 196 p.;7. Jago Geerts (BEL, YAM), 160 p.;8. Henry Jacobi (GER, HUS), 157 p.;9. Davy Pootjes (NED, KTM), 140 p.;10. Michele Cervellin (ITA, HON), 139 p.